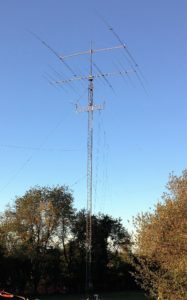 Our main HF Antennas are a 2 element Yagi for 40 meters (Force 12 Magnum 240N), and an 14 element 20, 15, and 10 meter (Force 12 C-31XR) multi monoband Yagi turned by an M2 OR2800 rotator atop our primary 100 foot tower. 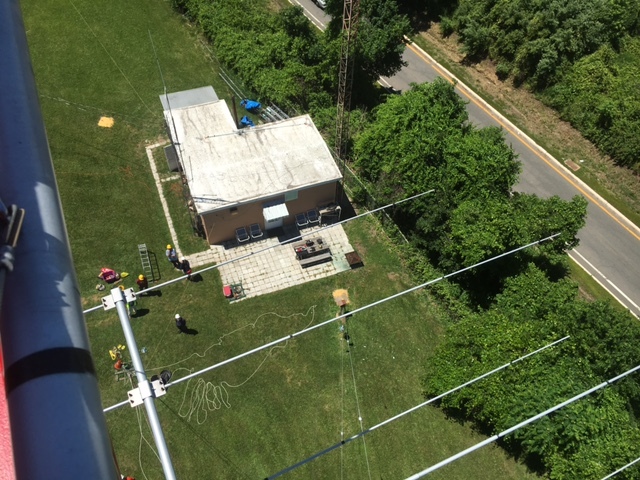 Our secondary 50 foot tower has a Cushcraft A3S triband beam and various VHF/UHF antennas. A SteppIR Vertical covers 40-6 Meters. Dipoles for 80 and 160 meters are strung between the towers and various supports.